Hillary Clinton’s media sycophants appear to have forgotten how political corruption works. T﻿he issue here is not whether we can find a smoking gun establishing a quid pro quo exchange. Principled public officials avoid the mere “appearance of impropriety” lest they expose themselves to reasonable inferences of corruption. It’s one thing for media pundits to stand tall and proud and support Hillary Clinton as the candidate best suited to be president. It’s another for journalists to supplicate themselves before the presumptive occupant of the world’s most powerful office in the hope that one day they might join Sidney Blumenthal (In These Times’ former Boston correspondent) as a palace favorite. T﻿he issue here is not whether we can find a smoking gun establishing a quid pro quo exchange. Smart operators (like Gulf State autocrats and their contacts in the State Department) don’t produce paper trails of receipts or memoranda confirming transactional corruption. For this reason, principled public officials avoid the mere “appearance of impropriety” lest they expose themselves to reasonable inferences of corruption. This is a tenet that any judge who has recused herself from a case understands—and with which any graduate of Yale Law School is familiar. What clear-eyed observer would deny that the U.S. failure to strongly condemn Bahrain’s oppression of its Shia majority might somehow be related to the warm rapport between the Bahrainian monarchy and American elites—ties nurtured through many relationships, including, perhaps, through Crown Prince Salman’s contributions to the Clinton Global Initiative? It’s an economy of power that is corrupt … and that corrupts. But systems can be changed. 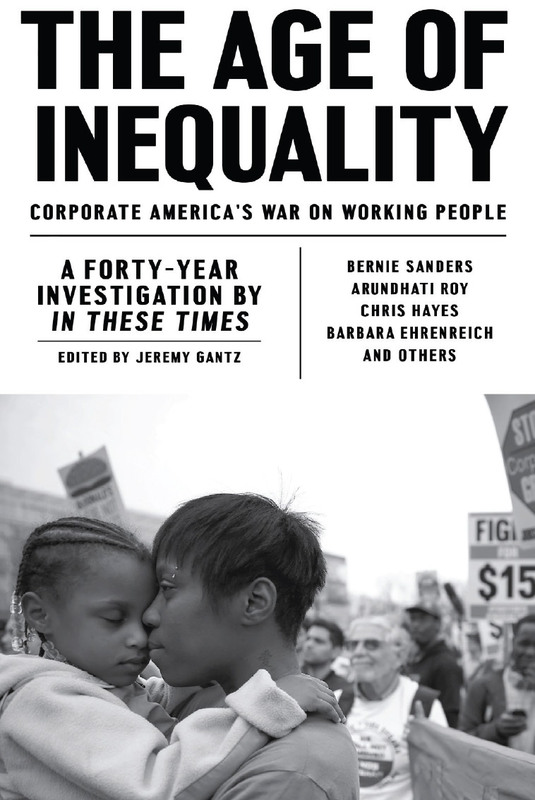 When In These Times was founded 40 years ago, we pledged to confront the “political taboo” of corporate capitalism. Adams also held that the legislative branch “should be in miniature an exact portrait of the people at large. It should think, feel, reason and act like them.” … Corporate power is accustomed to virtual monopoly in the market and over government. It is time to break up the corporate monopoly, not by anti-trust suits, but by beginning to retrieve the legislative branch to the people and making it the champion of the sovereignty of the people and their happiness, against the usurpations of oligarchic corporate power. If our 45th president-to-be and her media courtiers don’t understand this, it’s our job to make them. You're only superior in your delusional minds. Hillary 2016 - for Prison. We are superior in everyway from you trumpettes. You ought to be ashamed but liberals tend to believe they are morally superior. Apparently you're too willfully blind to read what Kevin Drum said. You know, if you're going to make the accusation of there being a quid pro quo you should at least have to come up with a quid and a quo or at least one of them. Bleifuss hasn't done that. I'm ever less surprised to find how dishonest the game of play-leftist purity posing is. Your willful blindness to the obvious pay to play scheme of the Clinton's says a lot about you. So what? She was paid by her husband receiving hundreds of thousands of dollars for his speeches. The Bush and Clinton CRIME FAMILIES have turned our country into a CRIMINAL enterprise and they want to keep it that way and they HATE Trump for exposing them. They look the other way because they saw what happened to Phil Donahue. If a republican ran a charity scam it might be scrutinized, but now it's OK for all of our politicians to collect millions from anyone they want, and the media must excuse it as "normal". This is madness, everyone knows it, and as a people we deserve the consequences of our inaction. I was one of the early subscribers to In These Times I've read it, though with decreasing frequency through the years. This kind of article is one of the reasons for that. As is pointed out by Kevin Drum, nothing improper happened. Apparently Joel Bleifuss finds it unusual and improper for the Secretary of State to get requests from people for meetings and that some get a meeting and some don't. That a representative of a foreign government gets a meeting with the Secretary of State is entirely normal and an everyday occurrence. Your magazine, after slamming Hillary Clinton during the primaries is now sandbagging her when the alternative to her being president is a man who is the embodiment of corruption and corporate monopolism and you're doing so through the standard of "an appearance of impropriety" where there is, actually, only the pretense of an appearance by a. Republicanfascists who want to install Trump b. the play-politics puritains of the would-be lefty media. 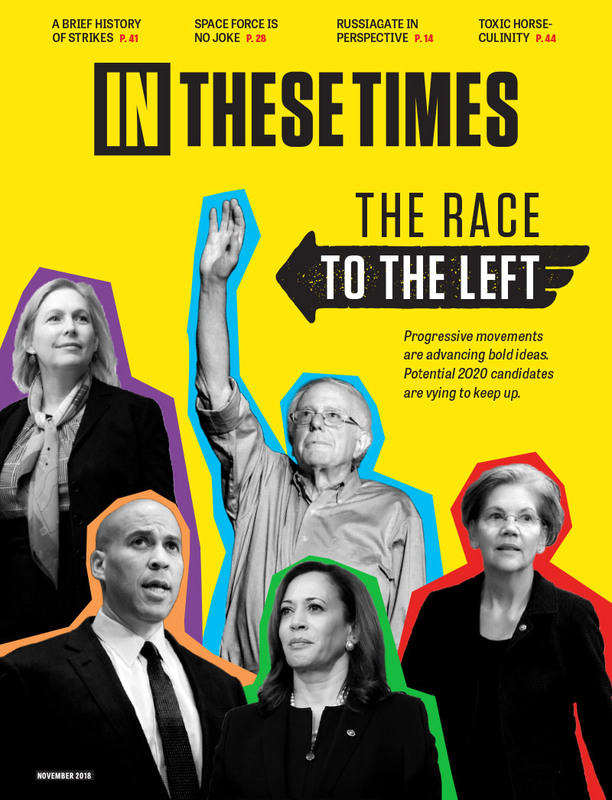 This is the year that my last illusions about the importance of the leftist magazines fell through the observation of their behavior in trying to spoil another election, benefiting probably the worst Republican to have ever gotten the nomination. I don't see what you're doing as any kind of a benefit to the left, to democracy or to anything but the worst kinds of governments our system produces. Oh gee, why would MSDNC, Clinton News Network, Nobody But Clinton, Always Been Clinton, & Clinton Bias System not want the Clinton Slush Fund investigated??? "Tell me where they get their cornpone and I'll tell you where they get their opinion ." Mark Twain Applies both to the journalists in question and one of the top guiding principles of the Clinton foundation the other being Hillary uber alles. It's instructive that many of these same columnists who decry the Citizens United decision, effectively embrace the rationale behind the majority opinion when it comes to these issues. e.g. appearances aren't sufficient, these large expenditures are just an expression of "speech", corruption only occurs when there is an explicit quid pro quo. I think part of the issue is that this type of conduct has become so normalized, that people involved in politics right now don't even question whether or not what they are doing is problematic. One misrepresentation in the above article: Kevin Drum's piece, which contains the phrase "It's the kind of thing that happens all the time" makes the point that *the thing that happens all the time* -requested meetings- DIDN'T happen. It would help your thesis to avoid such obvious mischaracterizations.